Andy Murray beat Gasquet in a five-set thriller at Wimbledon in 2008. 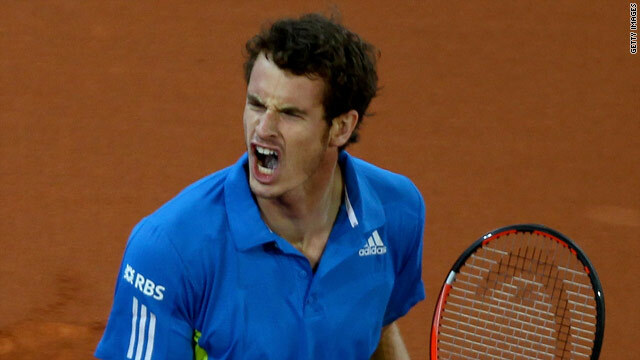 (CNN) -- World number four Andy Murray will take on home favorite Richard Gasquet in the first round of the French Open, while women's top seed Serena Williams could face four-time champion Justine Henin in the quarterfinals. The 23-year-old Frenchman has dropped down from world number seven to 68 following an injury and a ban which followed a positive test for cocaine last year. He was later cleared of doping after it emerged that he had unwittingly consumed the drug when kissing a woman who had taken it at a party. Meanwhile, world number one Roger Federer appears to have a tougher route to the final than his biggest rival Rafael Nadal. Defending champion Federer meets Australia's Peter Luczak in the first round, but could face his fellow Swiss Stanislas Wawrinka, last-year's runner-up Robin Soderling, Latvia's in-form Ernests Gulbis and Murray en route to the final. Four-time champion Rafael Nadal meets French wildcard Gianni Mina in the first round, with Australian veteran Lleyton Hewitt, Spain's Fernando Verdasco and world number three Novak Djokovic possible opponents in the later rounds. In the women's draw, Serena Williams meets Stefanie Voegele in the first round but it is her potential last eight face-off against Henin that has caught the eye. Belgian former world number one Henin is returning to Roland Garros for the first time since 2007 when she won the fourth of her French Open titles. Henin took a two-year break from the sport before returning in January. Elsewhere, second seed Venus Williams faces Swiss veteran Patty Schnyder, while defending champion Svetlana Kuznetsova of Russia opens her campaign against Romania's Sorana Cirstea.